In northwest Bakersfield—there's a place that transcends the environment in which it exists—a piece of land that takes you to a new place, opens you to a new culture—and reveals your most perfect outdoor experience. For more than 65-years, Monji Landscape Company has been in the business of designing, building and maintaining beautiful spaces. Aaron Monji, now a third generation owner helping his family and company expresses their love of the perfect landscape. But to understand their success now-and their most recent addition you need to know more about their grandfather Fred Monji—Who after World War II and less than a decade after one of the darkest moments of american history the Japanese internment, took a risk-and began his own business—that was 1953. “We've been in the central valley since then as a landscape, design, build company, we've also done work as far as St louis Missouri, and southern California, but out roots have always been here in kern county,” said Aaron Monji. 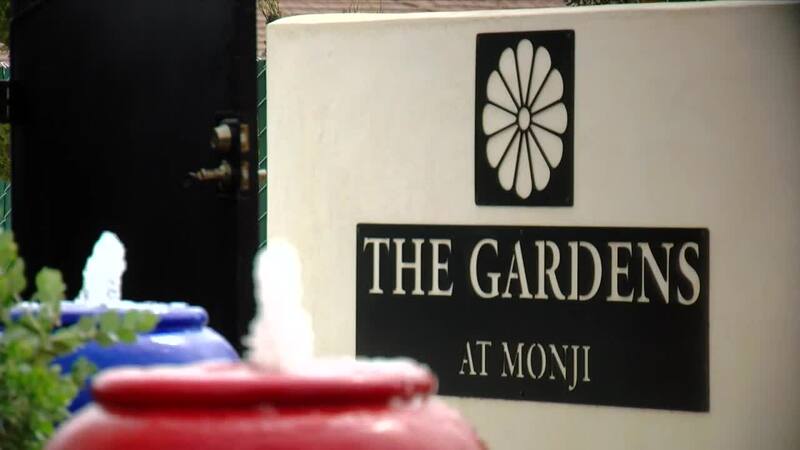 In the 1980's his son, Don Monji began his owner venture—merging the companies together—Years later, bringing in his son to the business who says growing up around horticulture became his life-blood. “So I think for us it's always been a family traded in Japanese culture, there is a high reference for bonsai just a kinship with the garden, me and my sister were raised in the nursery,” said Monji. Now, Monji Landscape company has grown into the most respected custom landscape design business in Kern County—Servicing legacy businesses and ordinary families looking to create their perfect backyard oasis. But it has also served a place where the Monji's could share their proud Japanese-American heritage with their loyal customers. Monji Gardens displaying these more than 65-year old trees—The Monji family also dedicating a piece of their headquarters to display a traditional Japanese garden—But right beyond that a space that has grown in popularity in just the few months it's been open. A large open venue space where they've been booked for weddings every weekend since the new year—The Gardens at Mojni featuring a beautiful outdoor space that can accommodate more than 250 people—an outdoor water fall wall and fire pit greets guests as they head into the indoor reception hall—the space also featuring a special staging area for the groom and bride. Walk these grounds with the Monji family and you instantly feel a sense of pride—knowing a family who started in Kern County with nearly nothing—has grown something so beautiful. A legacy of turning simple dirt, and land into something truly artist and beautiful, that began right here in Kern County.